Snippets of Jack: "Four of You Have Tried To Kill Me"
"Four of You Have Tried To Kill Me"
"Why should I side with any of you? Four of you have tried to kill me in the past... one of you suceeded. "-Jack Sparrow The Pirates of the Caribbean: At World's End. That's a little awkward... don't you think? The crew only sailed off the earth and just to rescue Captain Jack Sparrow, and then they get slapped in teh face by a rejection! But he does have a point, many of them have tried to kill Jack. There was Will, who attempted to murder Jack when he stepped into the blacksmith's shop, the second they first laid eyes on each other. "I practice three hours a day so that when I meet a pirate, I can kill it." 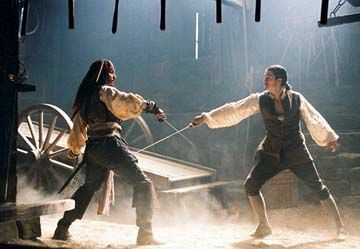 And then there is Barbossa who had previously committed mutiny upon him, also tried to kill him in the Isle de la Muerta. There's also the silly head pirates who travel around and make fools out of themselves. I believe they have tried to kill many people, yet never succeed. And let's not forget dear Elizabeth Swann, who kisses him as she ties him to the Black Pearl, aka his death. Then she gets on her boat and leaves him there to get eaten by the Kraken. I guess you can see how awkward this must be. But then again, they did go through a lot just to save him from Davy Jones' locker. 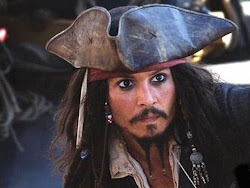 They all must be crazy though, who would want to kill a pirate like Captain Jack Sparrow?